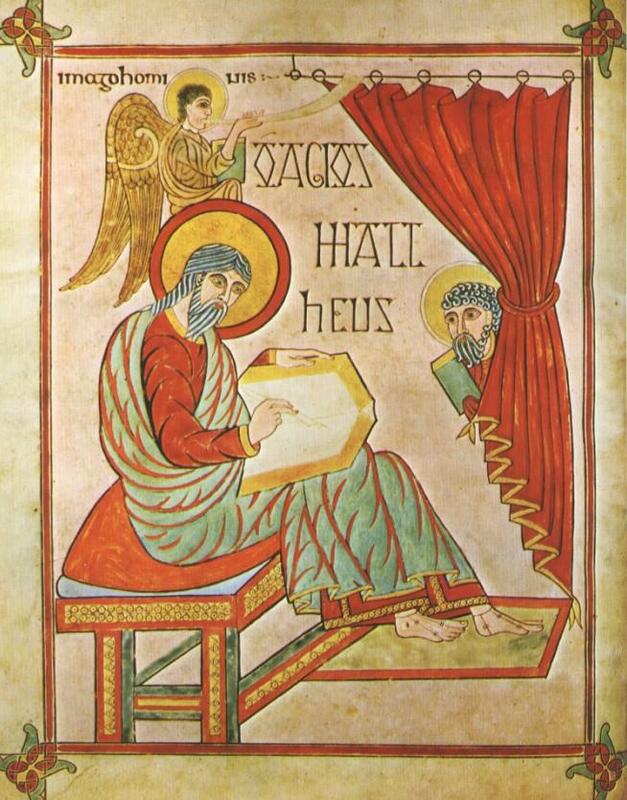 Much of what is known about the 7th century poet known as Cædmon is thanks to the Venerable Bede’s great work The Ecclesiastical History of the English People (written in Latin as Historia Ecclesiastica Gentis Anglorum). 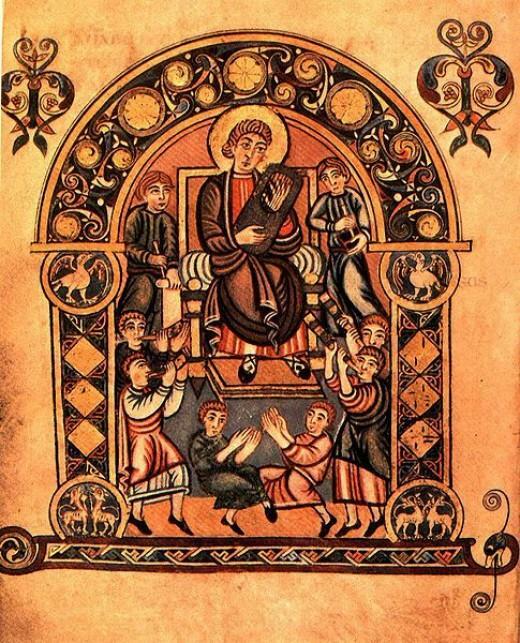 Bede was a monk living in the north of England whose carefully documented accounts of life at that time earned him the title “The Father of English History”. 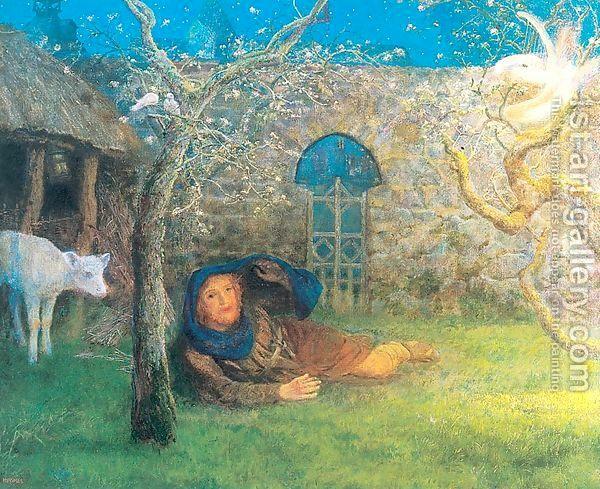 Cædmon is certainly one of the earliest known English poets and it is said that the ability to compose verse came to him in a dream one night while resting from his labours at the Streonæshalch monastery contained within Whitby Abbey. His inspiration drove him to become an inspirational poet, producing powerful religious work such as his epic Genesis which ran to twenty one separate books. 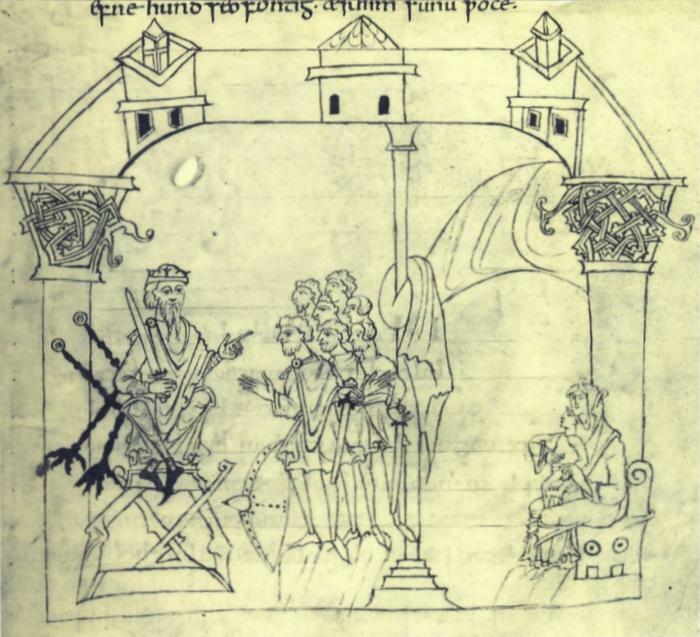 So, overnight Cædmon was transformed into both a poet and a singer and, on reporting this great event, he was taken before the abbess and she listened to his story intently. 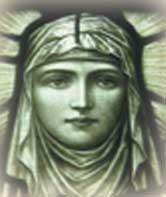 The sincerity that she saw within him convinced her that he should immediately take holy orders as he had truly been given “a gift from God”. The scholastic monks at the monastery set about teaching him about sacred history and doctrine. 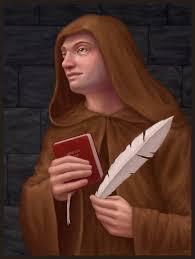 From then on Cædmon became known as a great poet, capable of producing the most beautiful and pious verse. He was responsible for a considerable number of poems, covering a wide range of Christian topics, written in the vernacular style so that many people could read them. 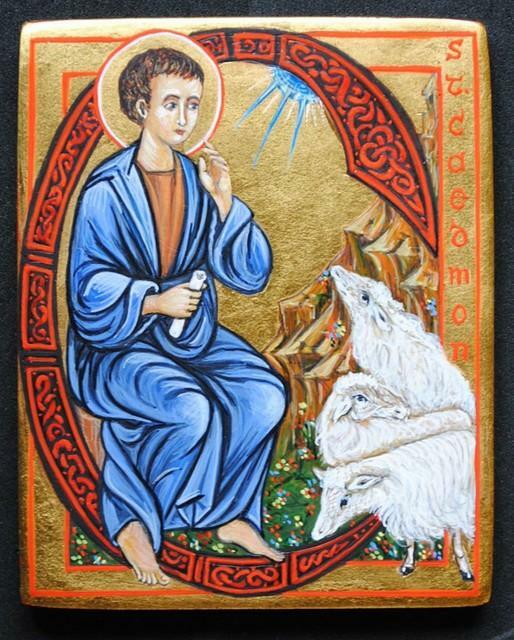 Scholars that came along in the following centuries might have been sceptical about this story of the miraculous conversion of a simple shepherd into a great and learned poet but Bede’s account certainly rings true in many quarters. He believed that Cædmon deserves his place amongst the great names of English religious figures and intellectuals. 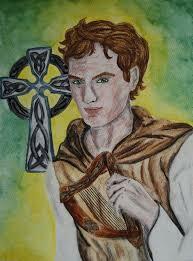 Cædmon’s life ended sometime around the year 670 which meant that he was 70 years old when he died. It was recorded that he had a premonition of his own death.